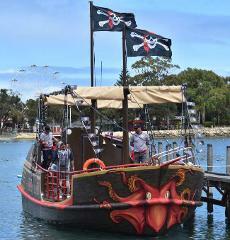 Take your seats as we depart from the Eastern Foreshore and venture through the Mandurah Canals on our pirate adventure. 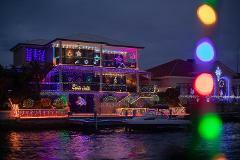 From early December through to January the Mandurah Canal residents display an amazing assortment of Christmas lights that offer an amazing experience to the general public. Cruise and Tour Canal Cruise and 1/2 Day Wine Tour. $99 per person includes lunch and tastings. 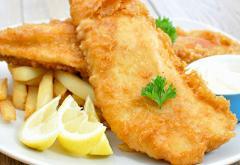 Enjoy fish and chips throughout your scenic 45 minute canal cruise. Come aboard for a 45 minute scenic cruise around Mandurah's picturesque waterways and have morning tea afterwards at either Mataya or hummingbird. Please note child’s price and infants doesn’t include coffee and cake.